The need for speed is especially important in the morning. It’s possible to be speedy and still make a healthy, tasty breakfast at home. 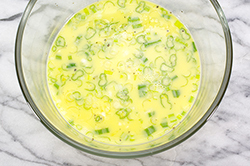 In fact, with just a little effort the night before, the egg and scallion mixture can be whisked right in the cooking bowl, and left waiting in the refrigerator for the morning. 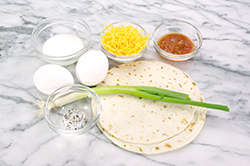 If your family eats breakfast at different times, more elaborate mise en place versions may be assembled on the eating plate and kept ready in the refrigerator. We could make and eat these everyday for breakfast! 1. 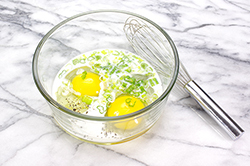 In a small, microwave-safe bowl, beat the eggs with the milk. 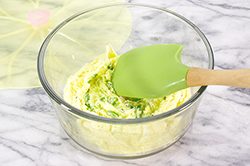 Whisk in the scallions, salt and pepper. 3. Lay the flour tortillas on a microwave-safe plate. 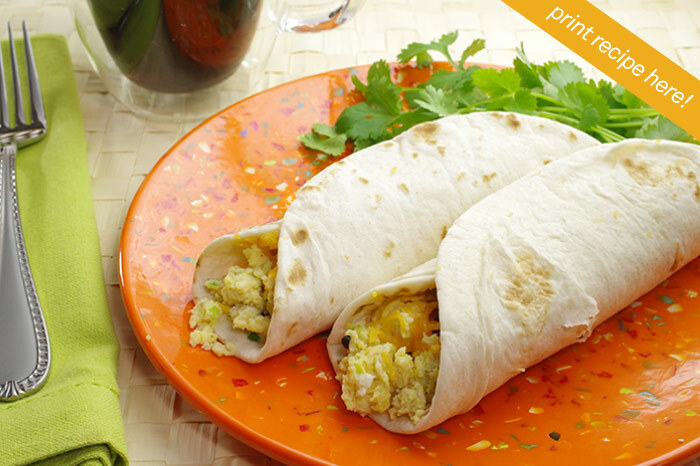 Spread the scrambled eggs in line on each of the tortillas, top with the salsa, then shredded cheese. 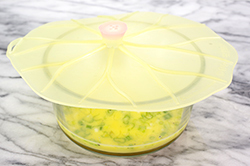 Microwave for 30 seconds on high to heat the tortilla and melt the cheese. Enjoy while hot!